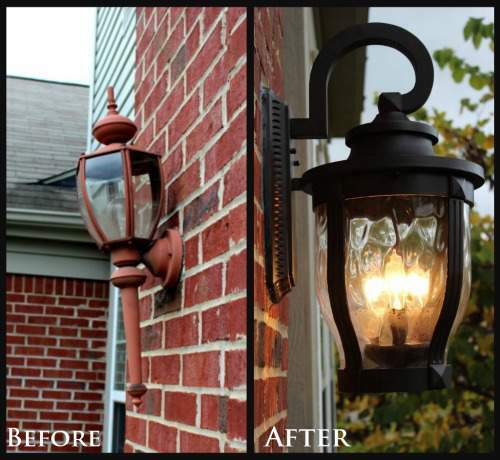 One of the easiest ways to freshen up a home’s exterior is to replace dated, tired light fixtures. 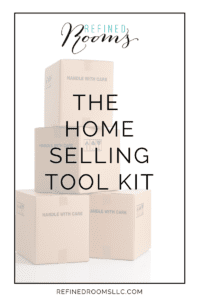 This is true whether you are staging your home to sell, or you simply can’t stand looking at the hideous builder-grade fixtures that came with your home one minute longer. 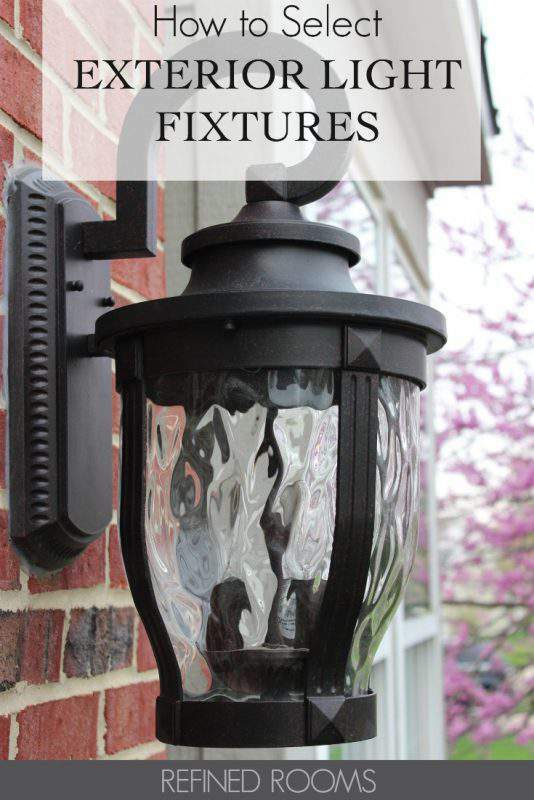 In my quest to replace mine, I quickly realized that there’s a lot to consider when selecting exterior light fixtures. I’m here to share what I learned in the process with all of you. I’ve endured these lights for over eight years, because I just couldn’t justify replacing perfectly functioning (albeit unattractive) fixtures. This fall, however, I finally convinced my dear husband that it’s time for a front entrance face lift. The most common mistake people make is to select lights that are undersized. Don’t assume that the builder-installed fixture is the correct size for you home, since they often install smaller fixtures in order to cut costs. 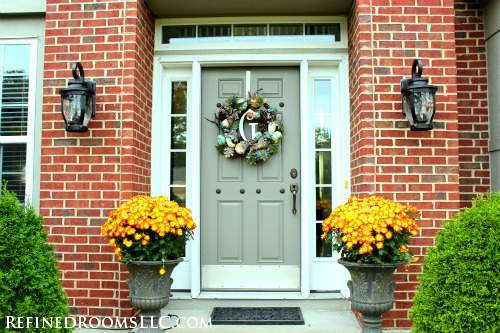 A good rule of thumb for the front door area is to select a fixture that is 1/3 the height of the door if there is only one light, and 1/4 the height of the door if there is a set of lights flanking the door. When it comes to selecting a color/style of fixture, take cues from your home’s architectural features and color palette. No matter how much you are personally drawn to a particular style of light, it must be consistent with the style of your home (e.g., coastally inspired fixtures belong on a coastal home). For example, I selected oil-rubbed bronze fixtures since they relate to the finish of our door hardware, as well as the copper roof that is adjacent to the front door. The simple, classic lines of the new fixture are also consistent with our home’s transitional style. You should also consider the degree of illumination produced by the fixture(s). When making your selection, pay attention to the number and wattage of light bulbs that the fixture requires, as well as the type of glass (clear vs. opaque vs. seeded) it features. All of these features will determine how much light is produced by the fixture. 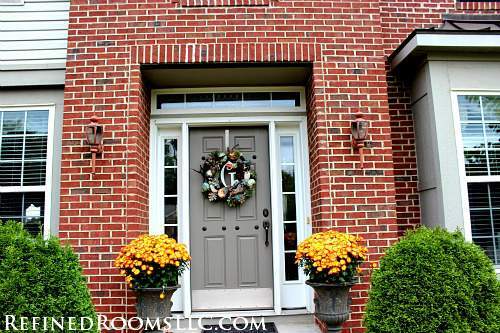 Finally, keep in mind that the ideal vertical placement should be slightly above eye level and below the top of your front door. If your junction box (i.e., the location where the light is installed to the wall) is located high on the wall, then you will want to select a fixture in which the fixture body falls below the junction box (like the “After” photo above). Some of my favorite sources for exterior lighting include: Amazon, Shades of Light, Wayfair, Bellacor, Lighting Universe, and Lamps Plus. 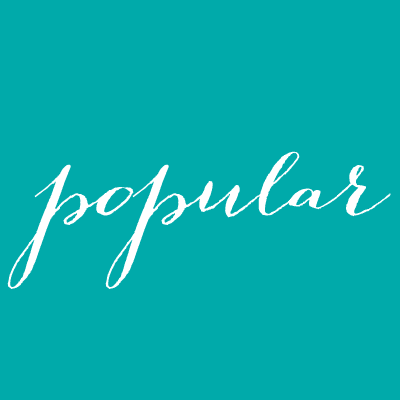 These online stores have a vast selection of on trend lighting (relative to what you will find in your local Big Box home improvement stores), and they typically offer free shipping. Is replacing outdated fixtures on your home improvement “to do” list? If so, be sure to check out these surprisingly easy ways to update your interior light fixtures as well. I am in the process of looking for new lights. Can you tell me where the light was purchased from.